We are diligently trying to get all our ducks in a row to release our first wine this Spring. About a million forms and agencies are involved in this process. 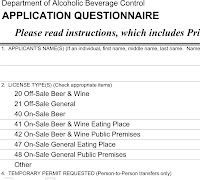 The California ABC is the most important; they issue wholesale wine licenses. We had our first meeting with them this week and left without a license; however we did leave with a wealth of knowledge and a good amount of hope. 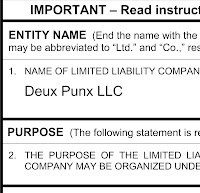 We need our federal TTB approval and a stamped copy of our LLC forms from the CA Sec of State. The staff was very helpful and thought we could get approval in less than 120 days. It's gonna be a close race to get our Rosé on the shelves for late spring. Aaron is guessing June 15th, I a month earlier. Now who's the optimist?